Friday February 8, 2019 - A Kenyan politician has shocked Kenyans after he put up his own testicles for sale. 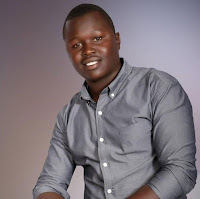 Ian-Harriel Kowiti, a former aspirant for Member of the County Assembly (MCA) in Uriri Constituency in Migori County, has put up one of his testicles for sale to help infertile men have children. Speaking to a local magazine, Kowiti, who tried his hands in politics in the 2017 General Elections as an independent candidate but flopped badly, expressed concern for fellow men who couldn't bear children and thus his ‘generous offer’. “Imagine that there is someone out there who can’t have a child for one reason or another. I just want to share what I have," Kowiti commented. Kowiti explained that he was ready to survive with one testicle but noted that the beneficiary would have to pay at least Ksh500, 000 for his precious gem. “What is the need of having two of them (testicles) dangling between my legs if I can still do the job perfectly with just one? For a little profit of course!" he declared. However, doctors have dismissed him saying it is not possible to harvest testicles. “It is impossible. I am only aware of penile transplant, but I have never heard of a procedure to transplant testicles,” Dr. David Kimani, a urologist, explained.